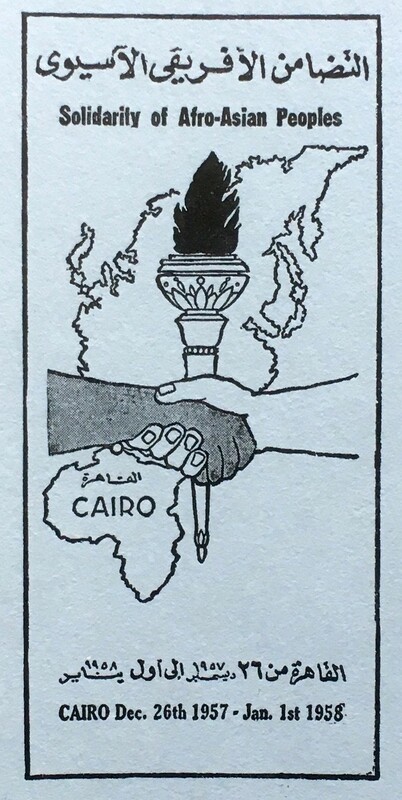 Pamphlet with analysis of the Cairo conference, by Homer A. Jack, 1958. From historians against Brexit to the ‘other’ Bandung, here are this week’s top picks in imperial and global history. More than 300 prominent historians, including Simon Schama and Niall Ferguson, are warning voters that if they choose to leave the European Union on 23 June they will condemn Britain to irrelevance. In a letter to the Guardian, the academics and writers argue that the referendum offers a chance to underscore the “irreplaceable role” Britain has played, and should continue to play, in Europe’s history. Fritz Bilfinger spent the Second World War as a liaison of the International Committee of the Red Cross. His job was prevailing upon the Japanese government in Tokyo to respect the Geneva Conventions in its treatment of Allied prisoners of war (POWs). On August 29, 1945, the International Committee of the Red Cross sent him on a fact-finding mission to Hiroshima, where he found a no man’s land “filled with the stench of corpses.” Where a bustling downtown had once straddled the Ota River now stretched a zone of total destruction two kilometers wide, with structures 10 kilometers further out battered, broken, and burnt out. Three weeks after “Little Boy” exploded above the now-skeletal dome of Sea Hospital, a MASH unit and the Red Cross hospital were the only medical facilities left standing. In conditions “beyond description,” available doctors and nurses fought to save more than 100,000 who were suffering from the bomb’s “mysterious” effects. They watched those seemingly en route to recovery experienced “fatal relapses” as acute radiation (to which they had also unwittingly exposed themselves) devastated their patients’ white blood cells, bringing on multi-organ failure and eventual death. The personal histories of enslaved and oppressed peoples are notoriously difficult to access. This is especially true of people who lived in earlier historical periods, since information on their lived experiences usually come via third parties, such as foreign travellers writing about slavery for European audiences, or by way of court cases, where their voices are only faintly heard. These sources are essential to understanding how slave societies worked, but they too often reduce the enslaved to a nameless and faceless crowd. While documents about the lives of the enslaved and free people of colour do exist, they tend to be hard to find and can often be in an advanced state of deterioration. We need these documents to create human historical narratives and to understand how individuals justified, resisted, accepted, and fought against enslavement and other forms of social oppression. At the foot of one of Da Nang’s Marble Mountains women with rice hats walk around selling souvenirs. A lift takes tourists to the top, where on one side they look out over the countryside of central Vietnam, on the other the South China Sea. In 1968 David Edward Clark was camped behind these mountains, but then it was impossible to climb them, the 66-year-old says. Anyone doing so would be a sitting duck for the Vietcong camped nearby.